FAQ: What is Reseller and what do they do? How do I request access to Poynt HQ? Where is my replacement Poynt device? What is a MID and a TID and where can I find them? How do I buy a Poynt terminal? Can I buy a Poynt terminal from another merchant? When will I receive my Poynt terminal? 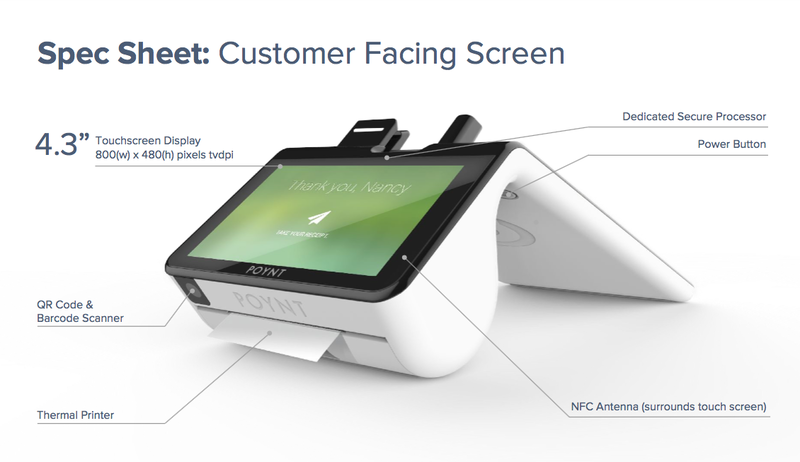 Which financial institutions are supported by Poynt? What can my Poynt device do? Welcome to Poynt. While your Smart Terminal is on its way to your door, here are a few to-dos you should tackle. ✔ Set up your Poynt Web Portal account. Open your welcome email and click “Get Started” to create your login credentials. ✔ Log in at Poynt.net to view your dashboard. Once your terminal arrives, this is where you’ll be able to see your real-time customer and transaction data. ✔ Visit the Poynt Help Center to review helpful video tutorials and support articles. There are two screens - the bigger one should face you and the smaller is directed at customers. When connecting with a strong private WiFi connection, you have the freedom to place your device wherever you’d like to transact. If connecting with secure ethernet, the device will need to be placed on the docking station within reach of your ethernet cord. 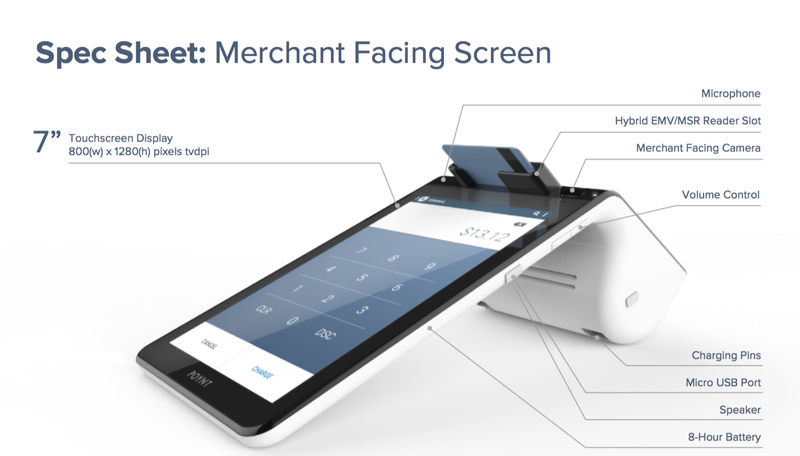 To turn on your device, press and hold the power button behind the merchant screen for 3 seconds. When placing your terminal on the dock make sure that both Poynt logos are facing you, aligning the terminal with the charging pins. Your device will charge while on the dock. We recommend fully charging the device (approximately one hour) before initial use. Your device will walk you through connecting to the internet via WiFi the first time you turn it on. To connect via Ethernet instead, simply plug your cord into the back of the dock. After connecting, it may begin to update its software as required. This can take a few minutes. Allow the device to download, install, and reboot before getting started. Now it’s time to activate your Smart Terminal, which links your device to your bank. Note: Activation procedure varies depending on your reseller. You will receive instructions on the best way to activate from your sales representative. After powering on and connecting to the internet, click the link and following the on-screen instructions for Scanning a QR code from your Welcome Email. 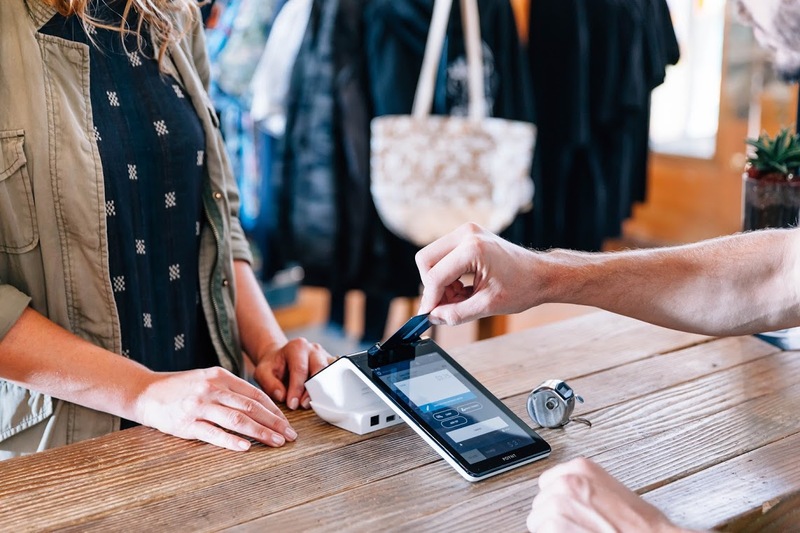 Doing this will link your unique Smart Terminal with your Poynt Web Portal account and payment processor information. To load a fresh roll of receipt paper into your device, lift the latch on the printer compartment and pull out. This will release the latch. 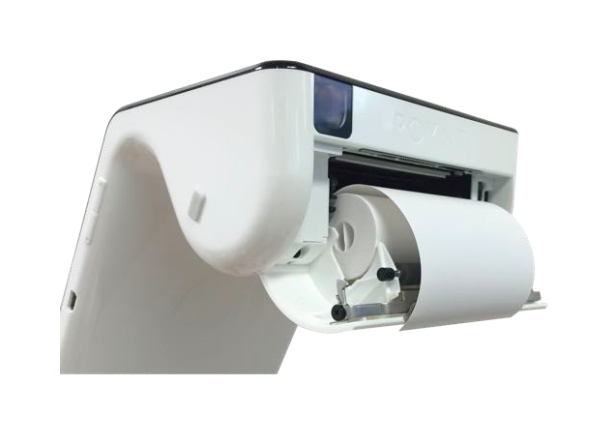 Unwrap the roll of paper, make sure that the paper is taut to the roll and place the roll into the printer compartment. The edge of the paper should be oriented toward the top of the roll to ensure the receipt prints properly. After these steps, you are ready to start accepting payments! How to use the Register App?